David Anderson Jolly was born in Arbroath, Scotland in 1842 and came to Dunedin as a seaman on the ship “Aboukir“ in 1862. He joined the gold rush and was one of the first miners at Quartz Reef Point. 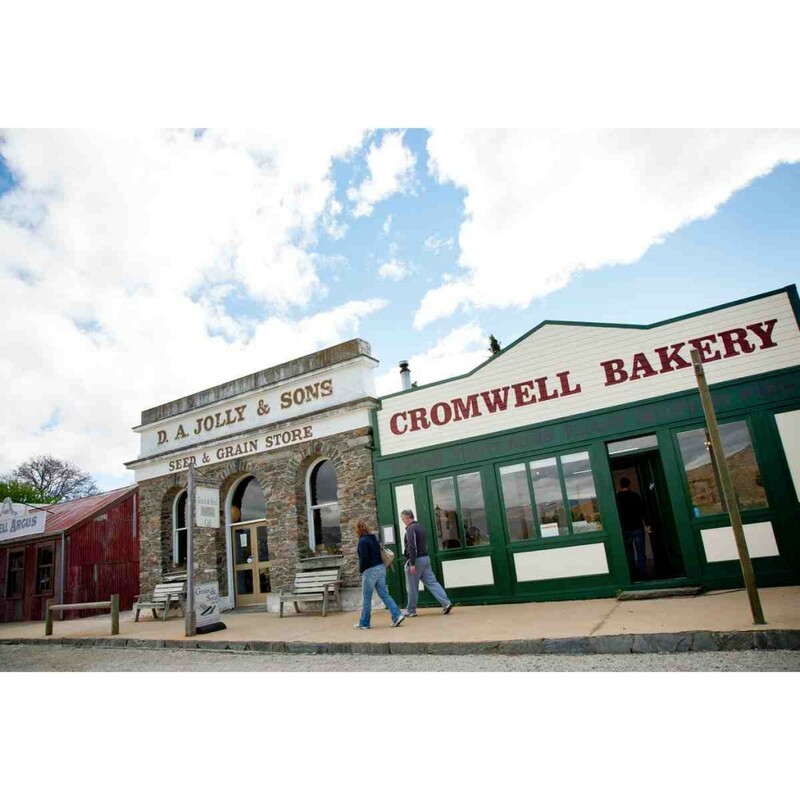 He prospered to such an extent that in 1869 he founded the firm D A Jolly Grocers and General Merchants in Cromwell. 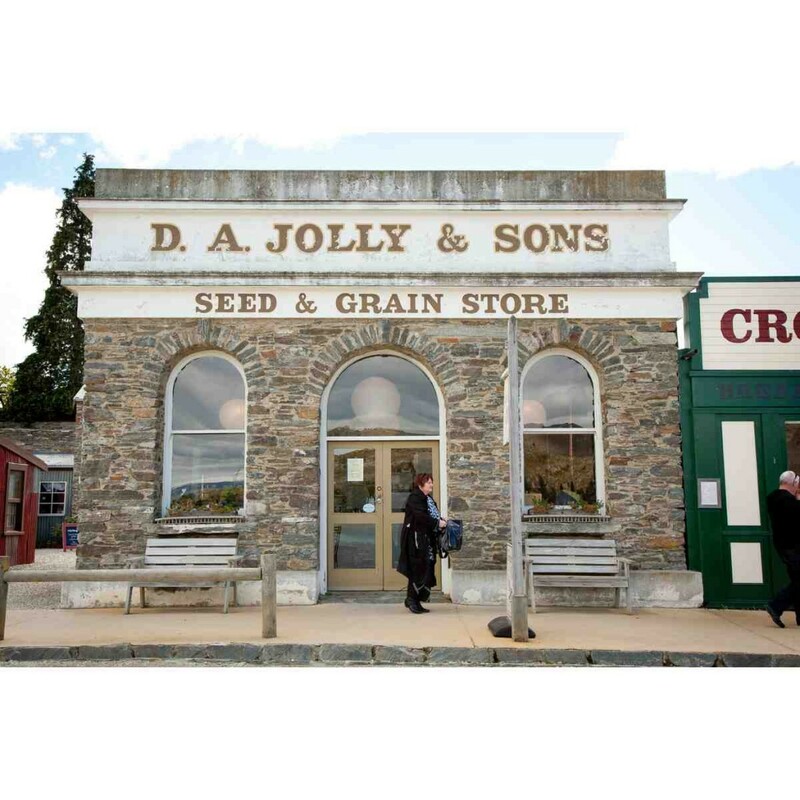 On 18 June 1870, D A Jolly completed the construction of his stone store on the corner of Melmore and Murray Streets. He was a very successful businessman and expanded his business by opening his Seed & Grain Store further along the south-west side of Melmore Street, along with another building which housed his kerosene and inflammable stock. He also operated other stores throughout the district. Mr Jolly was Mayor of Cromwell for four years, a member of the Cromwell Borough Council for several years, served on the Vincent County Council and the Hospital Trust. He also served on many local committees, including the Masonic and Oddfellows’ Lodge, all sporting clubs, Volunteers and Rifle clubs. He may well have been one of the foundation members in every institution the town possesses as he devoted his life’s work to Cromwell. The business was eventually taken over by his sons who ran it until 1942 when it passed out of the family. Dalgety’s took over the building on the corner of Melmore and Murray Streets while Alex Dewar purchased the Grain and Seed business which he continued to run for many years. In the late 1960 or early 1970’s, the building was renovated and served as the local doctor’s surgery. The building was demolished, stored and later reconstructed on its present site using the same stones.